Francine Stock and Darren Aronofsky discuss his controversial film Noah, Mark Cousins on A Story of Children and Film, and Kristin Scott-Thomas reveals how she got her big break. Black Swan director Darren Aronofsky discusses his controversial blockbuster about Noah, which has been loudly condemned by some religious groups in the United States. Documentary film-maker Mark Cousins considers the history of kids in film and why he thinks children and cinema are made for each other. In the year that Film 4 won the Oscar for Best Film with Twelve Years A Slave, the news that its controller Tessa Ross has decided to leave the job stunned the British film industry last week. Director Roger Michell, Charles Gant and Briony Hanson reflect upon her legacy and the impact that her departure will have on the business. Kristin Scott-Thomas reveals how she got her big break and talks about the film that made her a star. 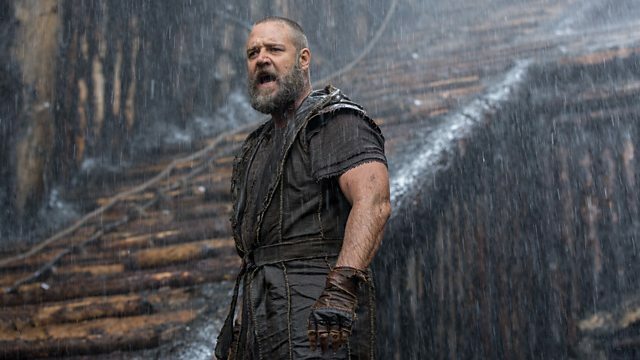 Directed by Darren Aronofsky, Noah is in cinemas from Friday 4 April 2014, certificate 12A. A Story of Children and Film is in cinemas from Friday 4 April, certificate PG. The film is written and directed by Mark Cousins.